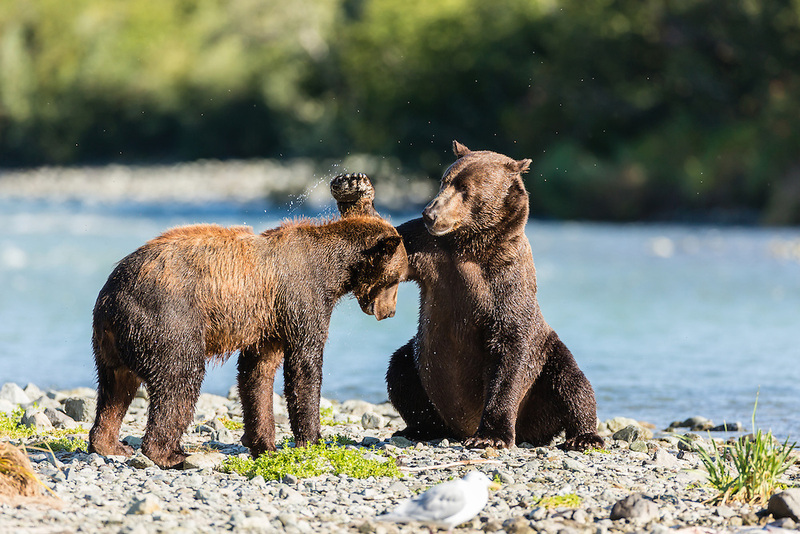 Brown bear (Ursus arctos) swipes its paw at another bear to assert dominance to fish for salmon along Geographic Creek at Geographic Harbor in Katmai National Park in Southwestern Alaska. Summer. Morning.